Though hearing loss is the third most common medical condition in the United States, it is often under-treated. In part, because it is an invisible condition that develops gradually, people may not know right away that they are experiencing hearing loss. Often times, family members, friends and loved ones recognize the signs of hearing loss before the individual. On average, it takes seven years from the time a person first recognizes symptoms of hearing loss before they decide to see an audiologist to get their hearing tested. In the United States, an estimated 48 million Americans (20%) experience some degree of hearing loss. Approximately one in three older Americans (ages 65 and over) experience hearing loss, while 50% of people over the age of 75 experience some degree of hearing loss. For adults, sudden sensorineural hearing loss occurs within 5 to 20 cases out of 1000, while noise exposure is the most common risk factor, with 30 million Americans exposed on a daily basis to dangerously high sound levels. Approximately 60% of the workforce experiences some degree of hearing loss. Hearing loss is a condition that differs greatly between people, with no single definitive cause. For this reason, it is important to understand the different types of hearing loss. There are three types of hearing loss: conductive, sensorineural, and mixed hearing loss. Conductive hearing loss, which results in a loss of loudness, is relates to issues with the outer and middle ear structures. Conductive hearing loss might occur due to congenital malformations of the ear canal and middle ear structures or head trauma, infections, tumors, impacted earwax, or other medical conditions. Sensorineural hearing loss, which results in a loss of loudness and clarity, refers to problems with the inner ear structure, the ear cells, and the process by which sound waves are transformed into electric signals sent to the brain. Exposure to loud noise, aging, head trauma, and Meniere’s disease are all related to sensorineural hearing loss. Mixed hearing loss is the combination of both conductive and sensorineural hearing losses, in which different elements of the auditory system (outer, middle, and inner ear) are damaged or affected by any combination of the above conditions. Hearing loss ranges in degrees of severity, from slight to profound. People with mild hearing loss might not be able to hear a whisper or the buzz of a mosquito, while those who suffer from moderate to severe hearing loss will struggle to hear a conversation in a busy space, a TV set at high volume, or a doorbell. Profound hearing loss prevents people from hearing a shout and many musical instruments. The degree of hearing loss is determined during a hearing test by an audiologist or a hearing instrument specialist. There are two configurations of hearing loss: unilateral and bilateral. Unilateral hearing loss affects only one ear, while bilateral hearing loss affects both. Hearing aids may be used as treatment for both configurations of hearing loss. There are two common causes of hearing loss: the natural process of aging and long-term exposure to loud sounds. With age-related hearing loss, as we naturally grow older, the inner ear hair cells that facilitate the translation of sound vibrations into neural signals begin to deteriorate. This makes it difficult for sounds to be recognized by our brains. Over time, if left untreated, the neural pathways begin to dull and fall into disrepair, which means it may take more time to restore hearing through the use of hearing aids. Lengthy exposure to loud sounds throughout our lives also has a detrimental effect on our hearing. People who work in loud industries, or people who enjoy activities that expose them to loud sounds – from hunting to attending a live concert – may experience hearing loss if they do not use ear protection. Exposure to loud sounds harms the inner ear hair cells, which do not regenerate. Other causes include certain diseases such as otosclerosis (a defect with middle ear bones), Meniere’s disease (a disorder of the inner ear, also related to tinnitus and vertigo), head trauma, perforated eardrums, ear infections (otitis media – infection of the inner ear), benign tumors and impacted earwax. With many potential different causes, it is important to visit an audiologist or hearing specialist for a hearing test. 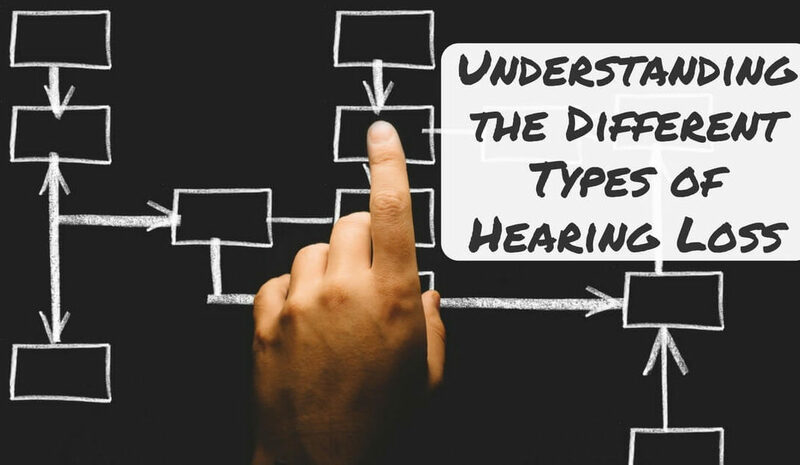 A hearing test helps your hearing healthcare professional understand the specific type, degree, and configuration of hearing loss you experience. Hearing tests also help your hearing healthcare profession determine the type and possible cause. Though hearing loss is a permanent condition, it is treatable! It is important to first recognize the signs of hearing loss – whether in your own experience or with your loved ones. If you suspect a hearing loss is present, schedule a consultation with an audiologist or local hearing specialist. Additionally, you’ll want to schedule a hearing test to give you and your audiologist much needed data on your hearing abilities. With results from your audiogram, which will outline the type, degree, and configuration of your hearing loss, then you can begin to make decisions to treat your hearing loss. Hearing aids are the most common treatment for hearing loss. There are many hearing aid options available on the market. Your audiologist or hearing specialist will assist you in selecting one that best treats your specific type, degree, and configuration of hearing loss – and best fits into your lifestyle!